Our kids are suffering from poison. Food is nutrition that begets health, not disease. Let’s take a stand together to nourish our families and avoid the ingredients that cause behavioral challenges. We’ve all heard to not eat certain foods, here’s some history as to why these items are not a good idea and how they became “food”. Let’s stop drugging our children with aspartame, dimethyl polysiloxane, sodium fluoride and GMO’s. The inventor and patent holder of the widely used sweetener aspartame, Searle, presented a study on October 10, 1972. The study involved a 52-week oral toxicity test on infant monkeys and was called Project No. 856ot70. Seven of the monkeys died and five had grand mal seizures. Searle discovered aspartame in 1965. It wasn’t until 1981 that it was approved by the FDA under a different name. It took two more years for the FDA to approve it as a soda sweetener. Early tests of aspartame reeked havoc on the internal systems of mice and monkeys including: microscopic holes, brain tumors and seizures. Once ingested, aspartame was converted by their bodies into dangerous substances causing cancer. Aspartame is not food. You should not eat things that aren’t food. Dimethyl Polysiloxane is “An anti-foaming agent for use in processing foods in ‘amounts reasonably required’.” It’s used in skimmed milk, meats, wine fermentation, syrups, soups, rendered fats and curing solvents. This product is only legal for use in the United States. Dimethyl polysiloxane is not food. You should not eat things that aren’t food. Sodium Fluoride is used in cereals, bottled water, tap water, powdered eggs, toothpaste, mouthwash, nail strengthener, denture care products, orange juice, berry juice, soda and other bottled drinks. WebMD sites Sodium Fluoride as a medicine with side effects of stomach upset, stained or pitted teeth, rash, itching and swelling particularly of the face, tongue and throat, dizziness and trouble breathing. The American Cancer Society says Sodium Fluoride is associated with the development of osteosarcoma, a cancer of the bones. It is also known to decrease fertility and cause thyroid issues. 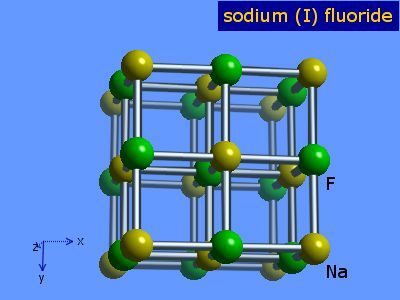 Sodium Fluoride is not food. You should not eat things that aren’t food. Genetically Modified Organisms (GMO’s) are currently being used in most packaged food products, meats, fish, poultry, produce and fruits. Rep. Dennis Kucinich, D-Ohio has gone on record since 1992 showing his disappointment with the FDA and genetically modified foods. Side effects of GMO’s are sterility, behavioral problems, diarrhea and other intestinal issues including Leaky Gut Syndrome, candida overgrowth, early puberty and numerous others. GMO’s are not food. You should not eat things that aren’t food. If Dr. Natasha has 100% success then there is a hidden ingredient, much like those listed above, that is causing problems. Keep trying to eliminate the hidden ingredients in food so your child can be released from the drugged state caused by the food they are eating. I can discuss this topic all day. We didn’t even mention other evils like MSG, pesticides, rancidity, soy, pasteurization and many other topics that cause behavior problems. The book Ecoscience: Population, Resources, Environment by John P. Holdren, currently Obama’s White House Science Czar (along with authors Paul and Anne Ehrlich) discusses “A ‘Planetary Regime’ should control the global economy,” pgs 942-3, “Involuntary Fertility Control,” pgs 786-7 as well as sterilizing agents added to water for fertility control. The book is currently on sale from Amazon for $145.95. When considering a conspiracy it’s much easier to look at the money trail, the usual source of origin. *Nourishing Plot is written by a mom whose son has been delivered from the effects of autism (asperger’s syndrome), ADHD, bipolar disorder/manic depression, hypoglycemia and dyslexia through food. This is not a news article published by a paper trying to make money. This blog is put out by a mom who sees first hand the effects of nourishing food vs food-ish items. No company pays her for writing these blogs, she considers this a form of missionary work. It is her desire to scream from the rooftops so that others don’t suffer from the damaging effect of today’s “food”.